Led video walls are a significant way to showcase your products and propagate your business. The LED video walls look very attractive and creative and is used by various businesses to display and advertise their products. Led Video panels impress the customers through the high resolution display screens which can be used indoor as well as for outdoor for advertising and are very reasonable. The LED video walls are very fascinating and help to attract a lot of customers, they enhance your business image and help to create a name in the market. Before implementing a video wall, it’s important to understand the space that it well occupy. Space should match the appropriate size, brightness, and pixel pitch, resolution and power requirements of the video wall you are implementing. It is important to create a unified display, not several individual screens that appear pieced together. The competencies of your video wall’s hardware and software will dictate how content appears on the screen. Design any content which creates a unified display. It will have a huge impact on the quality of your displayed content. Long content is tedious and boring. Short and crisp messages will always be more effective on a digital display. The content should be as short as possible so that it takes less time in display and conveys the message in a simple and effective way. The font and size of the text that you display on screen is very important. A well designed content should have proper size of the text which should match the pixel pitch you use. You don’t need shades or glossy effects on text , it may make the words look shadowy on video wall. So create simple font and effective size matching the pixel pitch that you display on your video wall. This will create an enhanced message which is readable by all. With an interactive video wall, you can attract more and more. You can add interactivity into a video wall, either by using a touch display or via an application on a mobile device that enhances the content. Choose the enhancement based on the type of content that will be displayed on the video wall – whether it’s a virtual product demonstration, social media feed, audio-visual enhancements or static images. Such an effectively displayed content on LED video panels will be highly eye catching and draws your attention with the bright and dynamic display properties. You can use the automatic controls to alter and change the message on the video walls as per the requirement. The Led video walls have customizable features and so you can create the display as per your choice and the customers’ feedback. 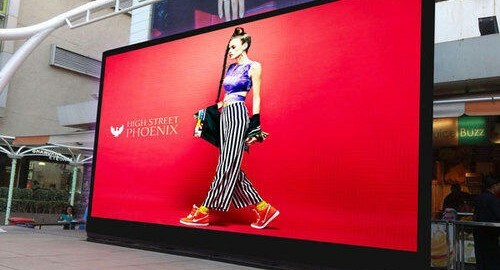 They LED video walls are known to increase the sale by creating greater impact due to the higher recall rates. If you are looking for LED video walls for your business, you should purchase from reputed suppliers like Bitsydisplays.com, India to get the best quality video walls for your business to help you display your products most effectively.